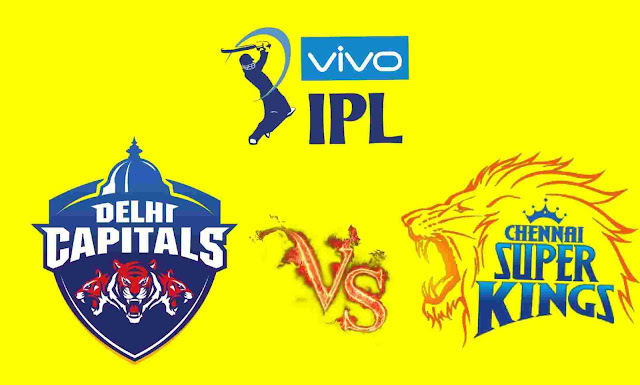 The fifth match of IPL is going to be played between CSK vs DC. Both teams won their first match and they are top on the points table. So we hope that a great evening comes today. So here I am giving full CSK VS DC Match Prediction IPL 2019. First I am talking about DC, we watched very brilliant batting by Rishabh Pant that's why he is a key batsman of DC and in the last match Dhawan, Colin Ingram bated well and Prithvi Shaw is also a great batsman. So we can say that DC has a good batting. They have a very good top order batsman.DC have also good bowlers in last match Trent Boult, Kagiso Rabada and Ishant Sharma bowled very well and gave a fantastic victory to his team so we can say that in this IPL season DC looking more confident. Talking more about CSK VS DC Match Prediction IPL 2019, all eyes will be on Dhoni and Rishabh. They both are wicketkeeper and also a brilliant batsman. On the evidence of recent form and CSK's world-class batting lineup, one is inclined to back Chennai Super Kings in this game's IPL Prediction. Caption MS Dhoni has particularly been in sparkling form with the bat on his return in the famous yellow jersey of Chennai. In the first match, we watched the bowling of CSK. They have very strong bowling and batting lineup. Harbhajan Singh comes in CSK and he took important wickets and Imran Tahir also bowled very well in the first match.CSK have very good spinners. Let's talk about world class batting of CSK Shane Watson, Suresh Raina, Ambati Rayudu and MS Dhoni is the main top order batsman.they all are a perfect batsman. Probable XI Delhi Capitals: Shikhar Dhawan, Prithvi Shaw, Colin Munro, Colin Ingram, Shreyas Iyer (c), Rishabh Pant (wk), Axar Patel, Rahul Tewatia, Ishant Sharma, Trent Boult, and Kagiso Rabada. Chennai super kings: Shane Watson, Ambati Rayudu, Suresh Raina, Kedar Jadhav, MS Dhoni(w/c), Ravindra Jadeja, Dwayne Bravo, Deepak Chahar, Shardul Thakur, Harbhajan Singh, Imran Tahir, Faf du Plessis, Murali Vijay, Sam Billings, Dhruv Shorey, N Jagadeesan, Ruturaj Gaikwad, David Willey, Chaitanya Bishnoi, Karn Sharma, Mitchell Santner, Mohit Sharma, KM Asif, Monu Kumar CSK Probable XI – Shane Watson, Kedar Jadhav, Suresh Raina, Ambati Rayudu, MS Dhoni (c & wk), Ravindra Jadeja, Dwayne Bravo, Kedar Jadhav, Harbhajan Singh, Lungi Ngidi, Imran Tahir.